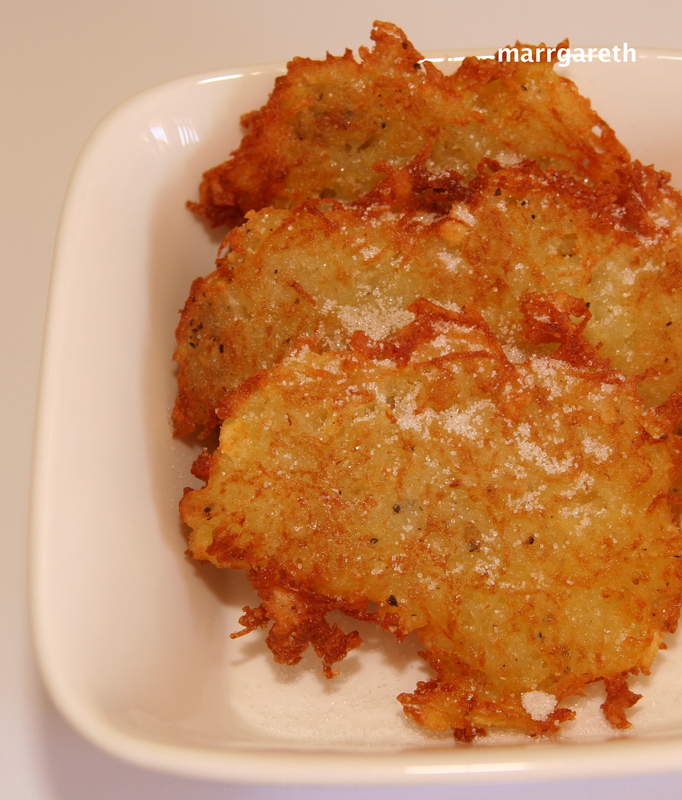 My potato pancakes do not contain eggs or milk and they are crispy. 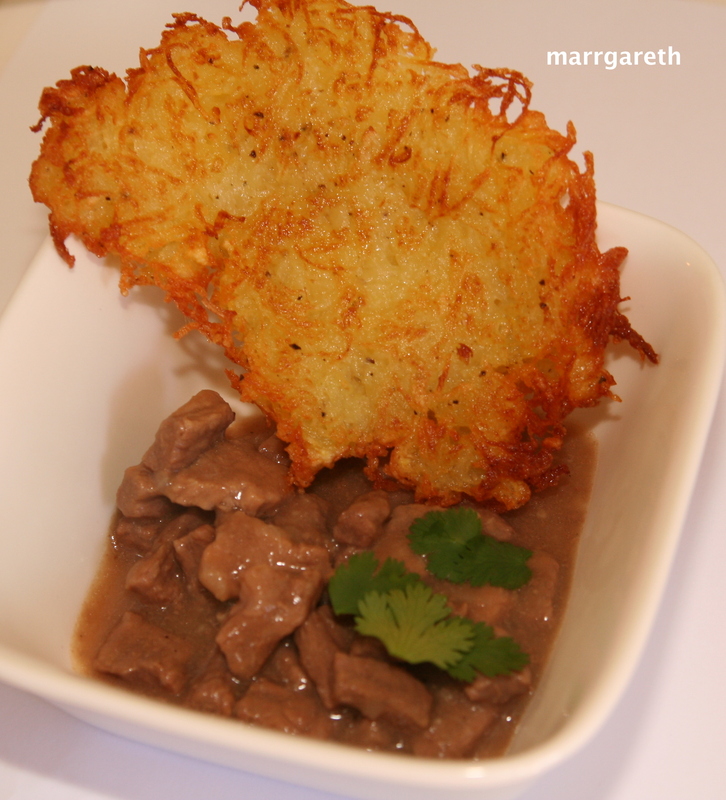 This dish is perfect for breast-feeding mothers on elimination diet, or for children allergic to eggs and milk. Grate peeled potatoes and onion on a grater with small size holes. I recomend an electric grater, if you do not have one you can use a juice extractor, you will use the potato pulps not the juice. 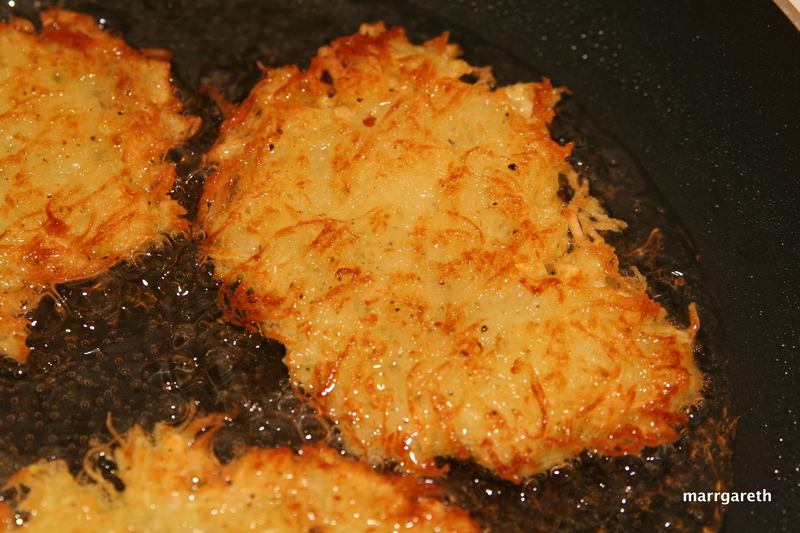 Strain grated potatoes to get rid of the juice. 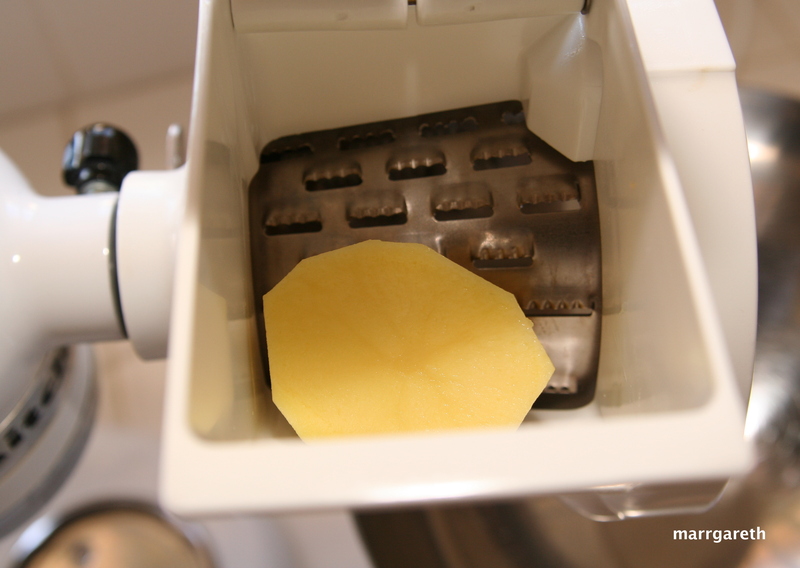 I use colander (pasta strainer) to drain grated potatoes. 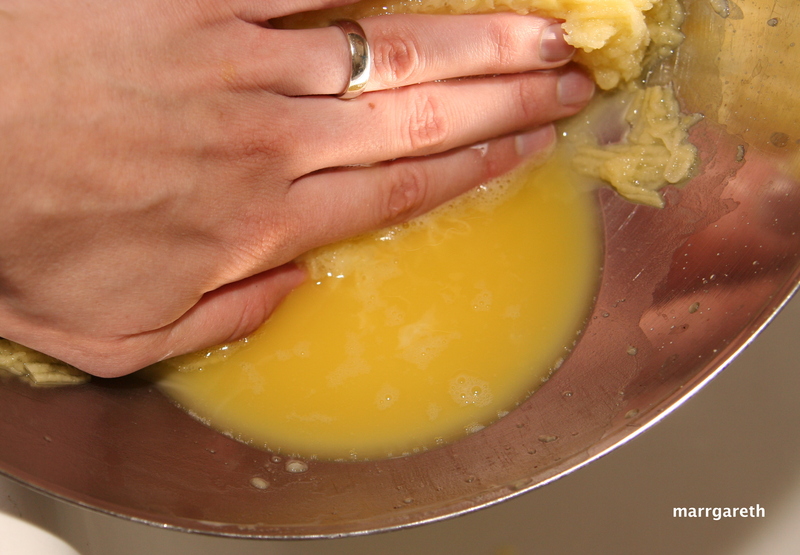 If you used a juice extractor to grate the potatoes you don’t need to strain the pulps as they are already dry, you can even add some potato juice to the pulps if they are too dry. 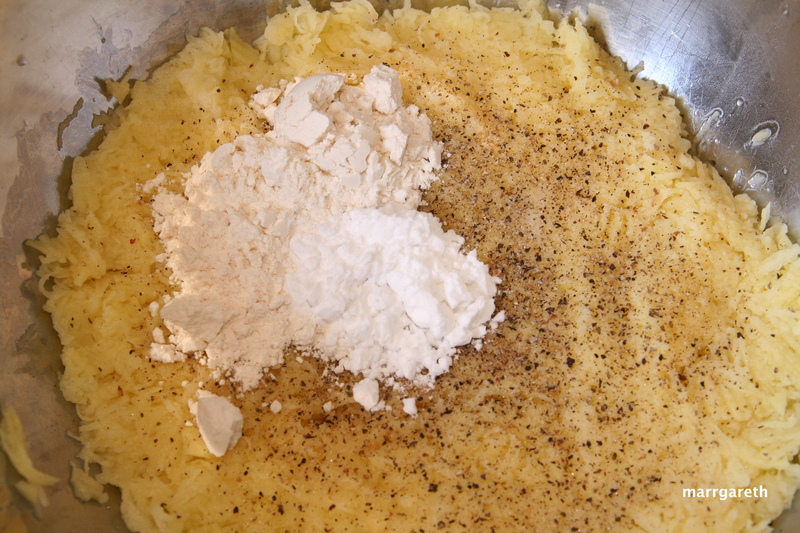 Add salt, pepper, flour and potato starch to grated potatoes. Mix thoroughly. 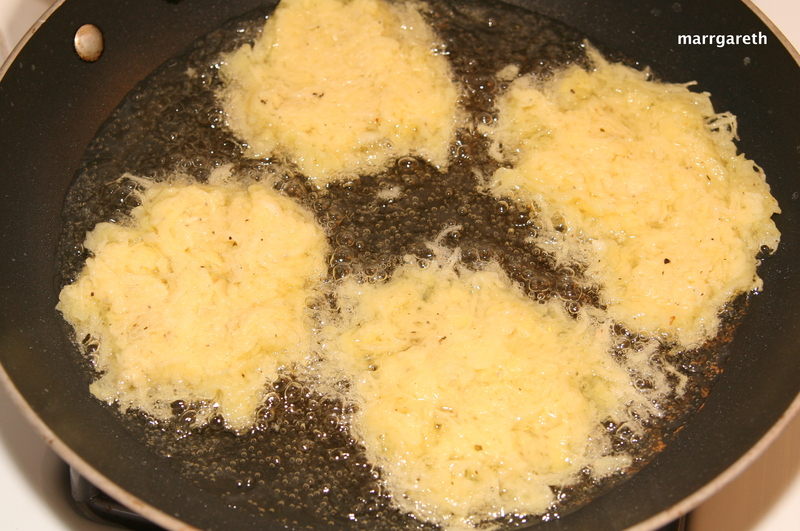 Heat the oil in the big pan, then using a spoon place potato pulps on the hot oil. Serve with stew with green cardamom or beef stew. You can even eat them sprinkled with sugar. Let me know what do you thing.